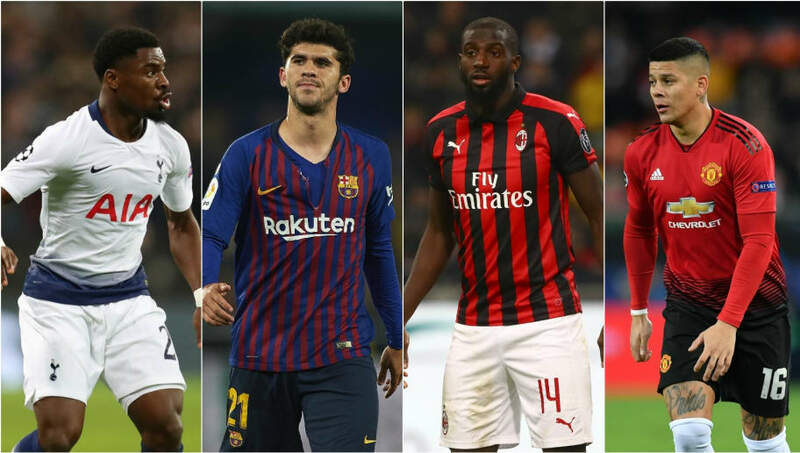 Here's a steaming hot pile of #thegoss​ from across the Premier League and Europe regarding some transfers that probably won't happen when the window reopens over the summer. Let's get stuck in to them. Enjoy. Best kick off with the biggest story. Southampton want to sign Scott Arfield! From Rangers! He is 30 and used to play for Burnley, so that probably tells you all about how good of an idea this signing is. He'll cost £3m-ish for Saints, but he's banged 11 goals from midfield this season. The ​Mail are saying Southampton have "concrete interest", so it might not be the last time you hear about this one. I just asked a ​Southampton supporting work colleague how he felt about this happening, and he shrugged his shoulders and said 'meh'. Please get in contact with us on Twitter at ​@90min_Football if you're a fan of this happening. Sorry in advance Dan. There's probably a large section of Tottenham supporters who want to get rid of serial foul-conceder ​Serge Aurier this summer, and you lot might actually be in luck. The very good ​SportWitness have combed through Gazzetta dello Sport for this one, and tell us they're in search of a new right back at some point because the loan signing of Cedric Soares is set to end in the summer. They've also got Sime Vrsaljko on loan, but will need to purchase him if they're to keep him around. If he doesn't stay, they'll need a new face. And Piero Ausilio, who works as Inter's director of football, was present at Spurs' New Glorious Stadium the other night...possibly (possibly, I am speculating) to watch him. Trouble was though that Aurier didn't even feature, because of injury. Maybe he was watching Christian Eriksen?! ​Because they can pull that one off for sure. Ajax are "extremely interested" in signing ​Barcelona's Carles Aleña on loan next season, as the two clubs seek a mutually beneficial working relationship where Barça take Ajax's best players for cut-priced fees while Ajax get their castoffs. Aleña looks like he may have a promising future, to be fair (perhaps not a cast off, that was mean), and the move could be a smart one given he'll be looking for playing time next season. He's probably not going to get much at Barcelona, given they've already signed Frenkie de Jong - from Ajax obviously - so it may be a smart way to ensure his development continues. Thanks to ​SPORT for that one. Tiemoue Bakayoko is only set to stay with Milan into next season if they're able to seal a place in next season's Champions League, Tuttosport report. The Rossoneri have the option to sign the Frenchman permanently for €38m, but in order to raise the money and not annoy the people who try to run FFP, they'll need the financial reward that comes with playing in Europe's top club competition. Milan are currently fourth in ​Serie A, but are in rotten form of late. Fenerbahce have shortlisted ​Marcos Rojo as a potential replacement for Martin Skrtel this summer, in potentially the most Fenerbahce transfer of all time. Damien Comolli (remember him?!) works there now, and has held talks with the agent of Man Utd's burnt toast lover - according to Turkish newspaper ​Takvim, at least. The problem for Rojo though is that he has stiff competition for the precious Skrtel's replacement role...from Neven Subotic and Christian Zapata. Again, gloriously Fenerbahce. Rojo has barely had a sniff at United over the last two seasons, mainly because he is actually a bit mad and not very good, and is expected to leave this summer despite being inexplicably given a new three-year contract in March 2018.